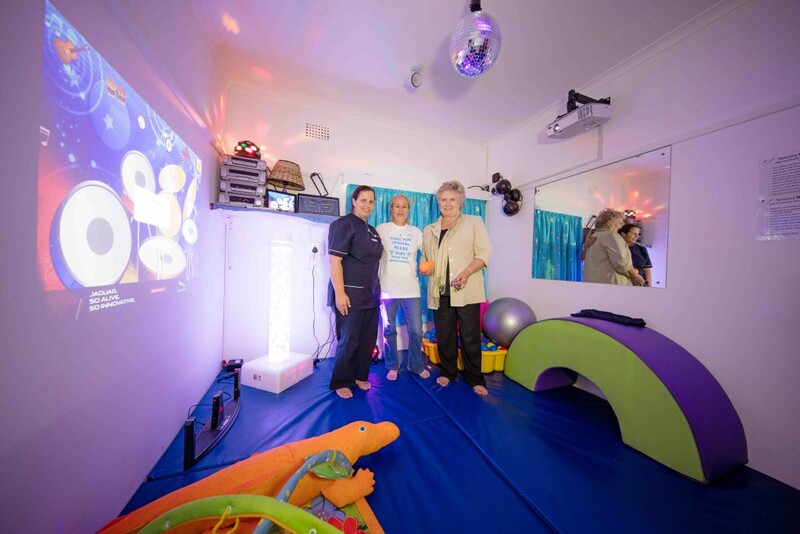 Our wonderful Sensory Room at Iris House Children’s Hospice, Sponsored by Rotary Oostenberg was official opened by District Governor Geraldine Nicol and Oostenberg Rotarians Neil and Manfred on Wednesday the 25th of November. The room boast’s the latest in sensory technology including a 3D projector, Apple TV, IPad, Laptop, Beam – Music maker, music system, weighted jackets, raised flooring with built in speakers, vibrating colour changing Bubble Tube, black out curtains, blue light, floor pin lights, disco ball, and rotating colour lights. 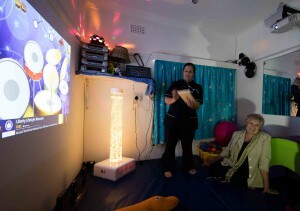 Each child who attends hospice respite care sessions spends time in the room with their carer and Iris House playmaker. The room is set to the “atmosphere” that is best suited to the child’s condition, ability and temperament. This can range from up tempo and vibrant to calm and relaxing. Therapies offered in the room are also child lead and range from OT exercises like stretching and balance to mild massage and sensory and music play. There is always time for plenty of hugs from their carer. Thanks to Rotary Oostenberg’s generous support the purchase of the equipment was possible. The room continues to bring smiles to the faces of our special children.